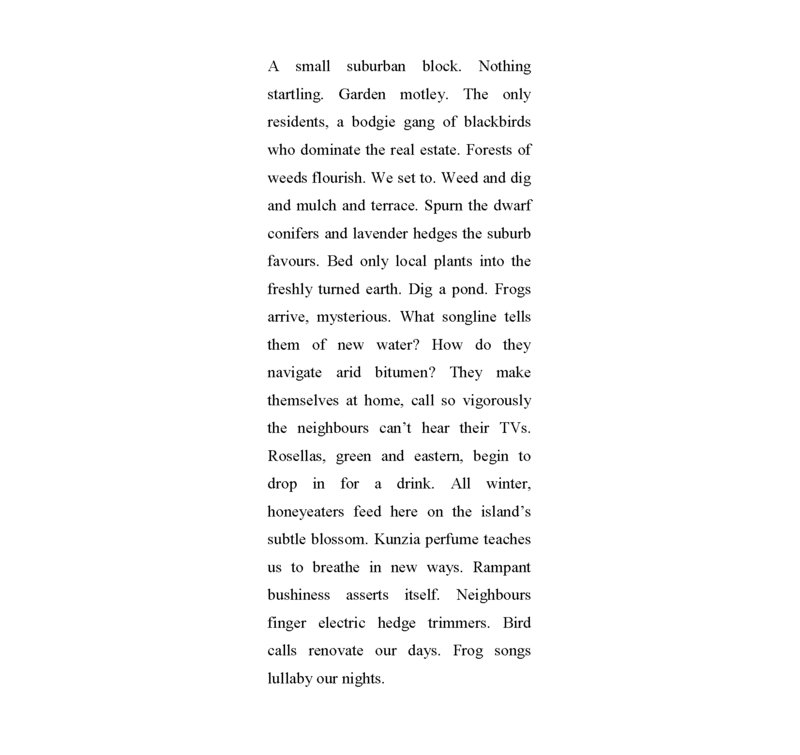 – First published in Gina Mercer’s collection, Weaving Nests with Smoke and Stone, Walleah Press, 2015, p16. Gina Mercer is a writer, teacher and editor. She has taught creative writing in universities and communities for 30 years. She was Editor of Island from 2006-2010. She has published five poetry collections. Her latest, Weaving Nests with Smoke and Stone, is all about the birds (Walleah Press, 2015).